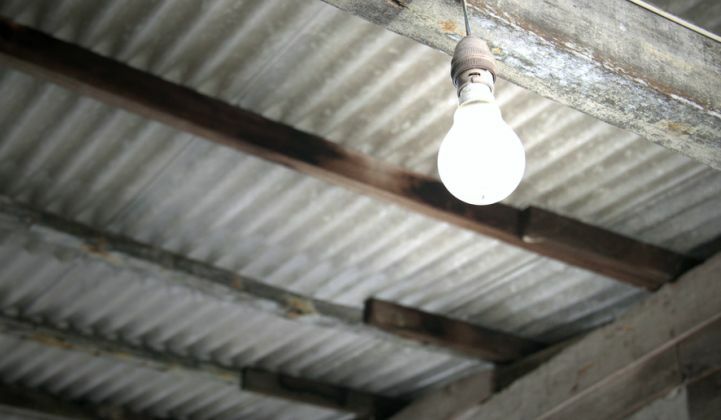 Putting an end to energy poverty is potentially within sight. Distributed renewable energy can deliver energy access to the billion-plus people around the world who lack it a lot faster than many people realize -- and far quicker than the traditional approach of extending centralized electricity grids. That’s one of the key messages of a new report, Decentralized Renewables: From Promise to Progress, released earlier this week by Power for All, an advocacy group whose mission is to achieve universal and cost-effective sustainable energy access within 10 years. Power for All's goal is even more ambitious than that of the United Nations, which wants to achieve universal energy access by 2030. The U.N.'s goal will be impossible if policymakers stick to the old playbook, say the report authors. “The grid had 100 years to get it right. It had its day,” said Kristina Skierka, Power for All’s campaign director and a co-author of the report. Rather than rely on a single, overburdened government agency and utility to extend the electricity grid to rural areas, Skierka said that distributed renewable energy catalyzes the interests of many different renewable energy companies and consumers. “There’s an entire human contingent who want to be involved in solving this problem, and that goes all the way from these companies who are ready and eager to sell their products to the consumers themselves who have shown they want a different solution and are willing to pay for it,” said Skierka, who spearheaded the state of California’s energy efficiency strategic plan and the Flex Your Power campaign. Capturing the promise of distributed renewables will require important policy changes. With a focus on making recommendations actionable, the authors also suggest process improvements aimed at speeding the advance of renewable-supportive policies. They include: ensuring that decentralized renewables are included in national energy policies and rural electrification plans; including distributed energy in integrated planning so that it receives equal consideration alongside grid extension, mini-grid and standalone system initiatives; and the institution of collaborative policy design processes that include government, the private sector, funding organizations and civil society players. To identify the most effective policies to spur distributed renewables development, Power for All used a regression analysis to examine the policies that helped five countries -- India, Bangladesh, Tanzania, Kenya and Ethiopia -- create high-growth markets. It also compared academic research with real-world trends. While the country-by-country context varies, Skierka said two particular policies can make a big difference in how quickly distributed renewables can scale up. At the core of Power for All’s theory of change is the belief that political will is the essential ingredient needed for markets to explode. Because of that, setting national targets for energy access and rural electrification is vital, because it has ripple effects throughout bureaucracies that change mindsets and eliminate roadblocks to quick implementation. One positive example comes from Sierra Leone. In 2016, Power for All began working with the president, the ministry of energy, and a variety of local partners. The country reduced import tariffs on goods and set a goal of delivering power to all its citizens by 2025, with the specific target of 250,000 distributed renewable energy connections by the end of 2017. Since taking those actions, Sierra Leone’s market has more than doubled, attracting companies like Azuri, Barefoot, Mobile Power, Ignite, Greenlight Planet, d.light and Total.